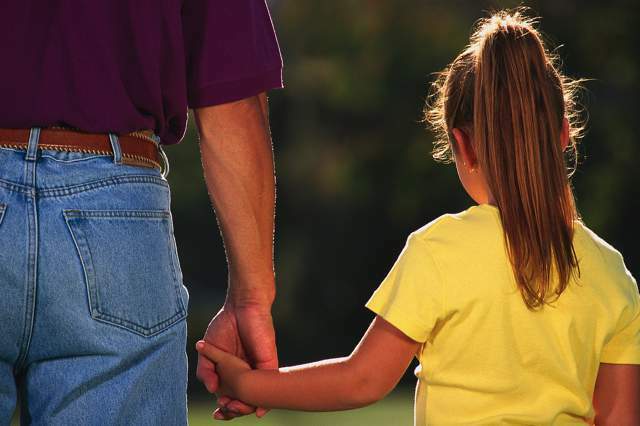 Tennessee child support law answers to frequently asked questions by Memphis divorce attorney Miles Mason, Sr. JD, CPA regarding child support in Tennessee, laws, 2016, login, percentage, questions, guidelines, how long do you pay child support, how much will I pay support, average, purpose of child support payments, debit card, application, help, calculations, waiver, child support worksheets, unwed parents, unmarried couples, visitation rights, setting income, online payment history, retroactive, step-parents, grandparents, taxes, forms, bankruptcy, exceptions and deviations. How does child support work in Tennessee? The Tennessee Department of Human Services (DHS) promulgates the Tennessee Child Support Guidelines which are a set of administrative rules. These answers to FAQs are based on those Guidelines, which are very detailed and complex as of 2016. As time passes, interpretations of the Guidelines will be determined by the Tennessee Court of Appeals and Supreme Court of Tennessee. What child support terms are used in a Tennessee divorce? The parent who pays child support is usually called the “Alternative Residential Parent” (ARP) and the parent who receives child support is usually called the “Primary Residential Parent” (PRP). The child support worksheets, or just “worksheets,” are print-outs of the child support calculator that is available online. (Links are provided below.) Print-outs of the parents’ agreed upon worksheets must be attached to the permanent parenting plan form for divorce. For post-divorce child support modification, the worksheets must be attached to the child support order. How else are Tennessee child support laws described? The “Income Shares Model” means that, under our new child support law (effective January 2005), both parents’ income is considered in determining child support. Current Rules, Charts, Worksheets and important links can be found on the Tennessee Child Support Resources page. What is the purpose of child support payments? Several goals are listed in Tennessee’s Child Support Guidelines including: decreasing the number of impoverished children living in single parent families; making child support awards more equitable by ensuring more consistent treatment of persons in similar circumstances while ensuring that the best interests of the child in the case before the tribunal are taken into consideration; encouraging parents paying support to maintain contact with their child; ensuring that, when parents live separately, the economic impact on the child is minimized, and, to the extent that either parent enjoys a higher standard of living, the child shares in that higher standard; and allocating a parent’s financial child support responsibility from the parent’s income among all of the parent’s children for whom the parent is legally responsible. What are the Tennessee Child Support Guidelines? “Guidelines” (also informally called the “Rules”) mean the Guidelines issued by the State of Tennessee Department of Children’s Services. For more detail, see Tennessee Child Support Guidelines. Part I – Identification lists the parents, children, and number of parenting days with each child. Part II – Adjusted Gross Income (AGI) lists both parents’ income and certain adjustments to determine the Percentage Share of Income (PI). Part III – Parents Share of Basic Child Support Obligation (BCSO) utilizes parenting time to determine the adjusted BCSO. Part IV – Additional Expenses includes the children’s specific expenses for health insurance coverage, recurring medical expenses not covered by insurance, and work-related childcare to determine the Adjusted Support Obligation (ASO). Part V – Presumptive Child Support Order lists the final amount owed and also provides an area for determining if an appropriate variance is achieved when a modification is sought. Part VI – Deviation and Final Child Support Obligation (FCSO) allows for a deviation agreed to by the parties or ordered by the court, as it provides the resulting child support ordered amount. (Deviation is discussed in greater detail below.) Other supporting schedules may be generated and attached as provided and required. In a Tennessee, how do I calculate the Basic Child Support Obligation? In Tennessee, basic expenses include an average amount to cover child-rearing expenses: housing, food, and transportation. The share of total expenditures devoted to clothing and entertainment is also included in the Basic Child Support Obligation (BCSO), but is relatively small compared to the other three items. Basic educational expenses associated with the academic curriculum for a public school education (such as fees, books, and local field trips) are also included in the BCSO. The BCSO does not include the child’s health insurance premiums, work-related childcare costs, the child’s uninsured medical expenses, special expenses, or extraordinary educational expenses. This is because of the highly variable nature of these expenses among different families. Alimony or maintenance received from other persons other than parties to the proceeding before the tribunal. For more, see Overtime in Tennessee Child Support Law. A child who does not live in the parent’s home and is receiving support from the other parent, but not pursuant to a court order. Credits are available for children under both a pre-existing order and a subsequent order. For credit purposes, pre-existing orders are directly deducted from the gross income of a parent. So the parent is given the full amount of the credit. However, no credit is given for arrearage payments (overdue child support payments). Evidence of “in kind” remuneration (for example, food, clothing, diapers, or formula) which has been reduced to a monetary amount approved by the court in the qualified other child’s case or affirmed by the receiving parent in the other case. The available credit against gross income for either parent’s qualified “not-in-home” children is the actual, documented, monetary support of the qualified other children, averaged to a monthly amount of support as paid over the most recent 12-month period. The maximum is 75% of a theoretical support order calculated according to these Guidelines, using the Credit Worksheet and the parent’s gross income. Be mindful that none of these credits is available for step-children. For more information, see Receiving Credit for Supporting Children Not Living in the Parent’s Home and Receiving Credit for Supporting Children Living in the Parent’s Home. After calculating each parent’s monthly Adjusted Gross Income (AGI) by deducting credits, it is time for the third step. Step three involves taking the amount of AGI each parent has, adding it together for a total amount, and cross-referencing it with the Child Support Schedule. The Child Support Schedule gives the monthly total obligation, or Basic Child Support Obligation, both parents must provide. What is the child support percentage in Tennessee? It depends. The fourth and final step is to take the monthly Basic Child Support Obligation and divide it by each parent’s AGI. Each parent’s share, called the Percentage of Income (PI), is determined by pro-rating the BCSO between the parents. Determining the BCSO can be a complicated process. Familiarize yourself with the Child Support Worksheets and talk to your lawyer about the specifics of your situation. What is the Parenting Time Adjustment in Tennessee? The Parenting Time Adjustment is an adjustment to the Basic Child Support Obligation based upon parenting time. In equal parenting situations, the adjustment is based upon each parent having 182.5 days of parenting time per year. Except as applied to equal parenting situations, the adjustment is based upon the Alternative Residential Parent’s number of days of parenting time with the children. Only one parent can take credit for parenting time in one 24-hour period. A “day” of parenting time occurs when the child spends more than 12 consecutive hours in a 24-hour period under the care, control, or direct supervision of one parent or caretaker. The 24-hour period need not be the same as a 24-hour calendar day. Accordingly, a day of parenting time may be either an overnight period or a daytime period, or a combination of daytime and nighttime hours. Except in extraordinary circumstances, partial days of parenting time that are not consistent with this definition shall be considered a “day” under the Tennessee Child Support Guidelines. By way of example only, consider a parenting situation where the Alternative Residential Parent (ARP) is scheduled to pick-up the child after school three days a week and keep the child until 8 p.m. The three partial days may be designated as a single “day” for parenting time purposes. If the ARP spends 92 days or more per calendar year with a child, then an assumption is made that the ARP is spending more on the child during parenting time for food and other expenses and is also spending more for child-rearing expenses (for items that are necessarily duplicated between the two households). A reduction to the ARP’s child support obligation may be made to account for these transferred and duplicated expenses. The amount of the additional expense is determined by using a mathematical formula called the “variable multiplier.” The variable multiplier can change the ARP’s obligation according to the number of days he or she spends with the child and the amount of the BCSO. In a Tennessee child support case, split parenting can only occur when there are two or more children of the same parents, where one parent is the Primary Residential Parent (PRP) for at least one child and the other parent is the PRP for another child. Split parenting situations are calculated differently under the new Child Support Guidelines so that both parents are credited for having at least one child more than 50% of the time. What if the Primary Residential Parent is very wealthy or remarries someone wealthy? In Tennessee, relative wealth of the parents does matter in terms of income determination when setting child support. The new Child Support Guidelines apply to both the Primary Residential Parent and the Alternative Residential Parent. If one parent has a greater ability to pay, then that parent should pay a greater amount of the child support obligation. Wealth of a non-parent or step-parent is not considered when setting child support awards. How much child support will I pay in Tennessee? That depends upon both parents’ income, the number of parenting days each parent has per year, health insurance costs, recurring medical expenses not covered by insurance, work-related child care, other children legally required to be supported, and other applicable adjustments. The data is input into the Child Support Worksheets and is calculated according to a very complex set of rules and formulae promulgated by the Tennessee Department of Human Services. Can future child support be waived in Tennessee? Future child support cannot be waived so long as the child has not yet turned age 18 or has not yet graduated with his or her senior class, whichever occurs second. Is child support mandatory in Tennessee? Yes. But it is theoretically possible for a court to deviate from a child support obligation calculation for a specific legal reason that it could find compelling. Any such deviation must be approved by a judge. How do I fill out the Child Support Worksheets? Child Support Worksheets can be downloaded from the State of Tennessee, find the links on our Resources page. From there, input the information and amounts discussed on this page. In Tennessee, do I have to pay child support if I have joint custody of my child? Maybe. Depending upon the exact share of each parent’s residential time, the parent earning more income could owe the other parent child support. That is possible even though the parent earning more income has more parenting days than the other parent. It just depends upon the calculations and adjustments in a specific situation, for a particular set of parents. If I have custody will I receive child support payments in Tennessee? Most likely, but it really depends upon the calculation. The most important factors are, one, the incomes of the parents and, two, the number of parenting days per year for each parent. Custody is not a term used in Tennessee child support law. So a parent with substantially more parenting time than the other parent is much more likely to be owed child support. What statutes apply to child support in Tennessee? Tennessee Code Annotated 36-5-101, et. seq. Tennessee’s child support statutes grant authority to the Tennessee Department of Human Services to promulgate rules (commonly described as the “Guidelines”) which determine calculations and procedures for child support determinations statewide. What are Tennessee child support laws for unmarried couples? The laws and calculations for determining child support are the same for divorcing, divorced, and unwed parents (unmarried couples). Is there an average child support payment in Tennessee? Not really. In theory, it would be possible to calculate an average child support payment in Tennessee (and maybe someone has). The Guidelines are designed to provide a case specific and particularized child support determination. Knowing the average monthly child support obligation in Tennessee would not likely be helpful in predicting the amount anyone might actually owe. Can I revoke visitation rights if the other parent hasn’t paid child support in Tennessee? No. But in extreme circumstances of non-payment, a court may consider an application to terminate visitation rights or even parental rights. Definitely discuss this situation with an experienced Tennessee family law attorney. Do this before denying visitation rights in any way without a court order, first, approving such denial of visitation rights. In Tennessee, what happens when a parent’s income cannot be ascertained? When establishing an initial order and the obligor fails to produce evidence of income (such as tax returns for prior years, check stubs, or other information for determining current ability to support or ability to support in prior years), and the court has no other reliable evidence of the obligor’s income or income potential, gross income for the current and prior years should be determined by imputing annual income of $36,369.00 for male parents and $26,989.00 for female parents. After the initial order, when the court has no reliable evidence of a parent’s income or income potential, the court shall enter an order to increase the child support obligation of the parent failing or refusing to produce evidence of income. That increase shall be by an increment not to exceed ten percent (10%) per year of that parent’s share of the Basic Child Support Obligation for each year since the support order was entered or last modified. How is income determined if a parent is self-employed in Tennessee? Excessive promotional, excessive travel, excessive car expenses, or excessive personal expenses, or depreciation on equipment, the cost of operation of home offices, etc., shall not be considered reasonable expenses. Amounts allowed by the Internal Revenue Service for accelerated depreciation or investment tax credits shall not be considered reasonable expenses. Fringe benefits for inclusion as income or “in kind” remuneration received by a parent in the course of employment, or operation of a trade or business, shall be counted as income if they reduce personal living expenses. Such fringe benefits might include, but are not limited to, company car, housing, or room and board. To learn more, read the discussion on the Self-employed Parent’s Income Determination in Tennessee Child Support. In Tennessee, what is imputed income? In general, imputing income means assigning an income when reliable evidence of income is not available or the parent is voluntarily unemployed or underemployed. If the supporting parent voluntarily takes a cut in income or quits a job, can he or she get a reduction in child support? That depends. The judge will have a lot of discretion in this situation. Technically, if a supporting parent is willfully and voluntarily unemployed or underemployed, then child support should be calculated based on a determination of that parent’s potential income. Potential income is shown by the parent’s educational level and previous work experience. In this situation, though, the individual circumstances matter. For example, if a doctor leaves a practice group to start his or her own practice, then the temporary reduction in income will not likely justify a reduction in child support. If, however, the manager of a retail store takes a new job with a cut in pay, but also with legitimately increased advancement opportunities, then the court might allow a decrease in child support. Leaving a job just to reduce one’s hours or to intentionally make less money, motivated by a desire to pay less child support, will not be looked upon favorably by the judge. Furthermore, it can result in a child support obligation based on the parent’s potential income or earning capacity as if employed in a full-time job or occupation for which the parent is qualified. There are many appellate decisions discussing willful and voluntary unemployment and underemployment. If this situation concerns you, then do consult a lawyer immediately because the law in this area can be very complex. To learn more, visit Voluntarily Unemployed or Underemployed in Tennessee Child Support Law. What can I do if my former spouse is working under the table and not paying Tennessee child support? Consider filing an action to enforce child support. As part of that process, you may want to use the court’s legal procedure to compel production of income information from your former spouse’s employer, bank records, and credit card statements. Issuing subpoenas may be necessary. Then see if you can find recently acquired assets which appear inappropriate given the claimed income. As an over-simplified example, if a parent claims to earn only minimum wage, the same parent’s new BMW used to pick up the children for visitation could be an interesting topic for cross-examination. A detailed investigation may be required. There are provisions in the Guidelines specifically relating to proving income when the documentation provided is unreliable. In Tennessee, what should I do if the other parent is manipulating income documentation and business records to avoid paying child support? Unfortunately, this is a very common situation. Proving a child support obligor is under-reporting income or over-reporting business related expenses can be very challenging. Proving the parent actually earns more than he or she claims may require assistance from a forensic accountant to analyze tax returns, financial statements, loan applications, company accounting records, assets purchased, claimed business-related expenses, and so on. For a more details about concealment, see Hidden Income. I have heard of a “cap” on child support as a certain percentage of income. Is that true? In Tennessee, yes. A cap applies when the presumptive child support order exceeds the amount found by multiplying a net income of $10,000.00 by the percentages set out below. The Primary Residential Parent seeking support in excess of the “capped” amount must prove that more than the “capped” amount is reasonably necessary to provide for the needs of a child. The court can order that the excess child support owed or owing be paid into an educational trust for the child’s benefit. In Tennessee, how is child support determined if the parent owing child support has combined net monthly income greater than $10,000? One child (21%) = $2,100.00. Two children (32%) = $3,200.00. Three children (41%) = $4,100.00. Four children (46%) = $4,600.00. Five or more children (50%) = $5,000.00. For high-income parents, the Tennessee Court of Appeals has approved several rulings awarding child support in excess of the “caps” for education, extracurricular activities, and educational travel. For more information, see Caps on Tennessee Child Support for Parents with Greater Than $10,000 per Month Net Income. What role do stocks options and IRAs play in determining TN child support? Proceeds from exercising stock options and distributions received from IRAs are considered income for child support determinations. When exercising stock options earned over a period of time greater than one year, Tennessee courts may allow the income to be averaged over the applicable period of time rather than just in the year the options are exercised. 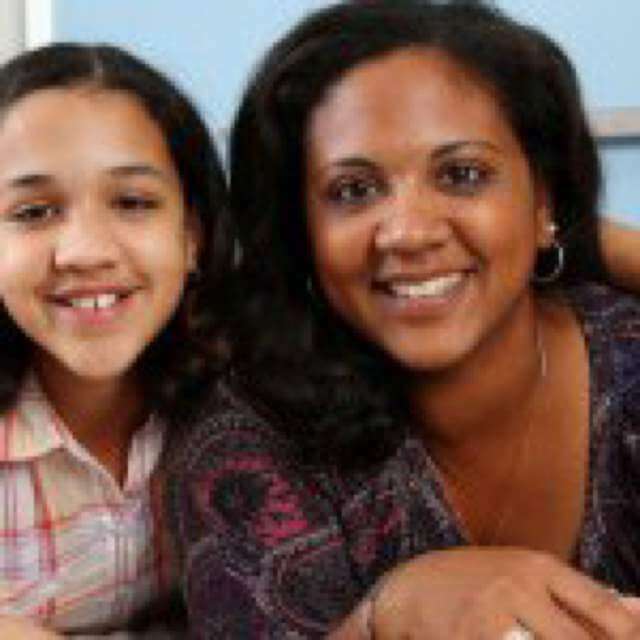 See Averaging Income in Tennessee Child Support Law to learn more. In Tennessee child support, how are medical insurance, uninsured medical expenses, and work-related child care costs treated? Under the Tennessee Child Support Guidelines, both the cost of medical care insurance premiums for the children (which can include both medical and dental) and the costs of work-related childcare are included in the calculation for the support order. The parents must divide these expenses according to each parent’s Percentage Share of Income (PI). Every court order under the new Guidelines must address these expenses. As for recurring uninsured medical expenses, they are added to the Basic Child Support Obligation (BCSO). These expenses must be routinely incurred so that a specific monthly amount can be reasonably established and added to the BCSO. Other medical needs not covered by insurance. Childcare expenses necessary for the parent’s employment, education or vocational training that are determined by the tribunal to be appropriate, and that are appropriate to the parents financial abilities and to the lifestyle of the child if the parents and the child were living together, shall be averaged for a monthly amount and entered in the worksheet in the column of the parent initially paying the expense. How do educational expenses, special expenses, and other “add-ons” work within the Tennessee Child Support Guidelines? After calculating the Basic Child Support Obligation (BCSO) and adding health insurance costs and work-related child support expenses, educational expenses for private or special schooling for the children can be considered as a deviation from the presumed support amount. Other “special expenses” – music lessons, summer camps, travel, and other activities contributing to the child’s cultural, social, artistic, or athletic development – may also be considered by the court as deviations from the presumptive child support order and be added to the child support amount. These expenses include activities intended to enhance the athletic, social, artistic, or cultural development of the child. Some of these “special” expenses are not mandated under the Tennessee Child Support Guidelines and must exceed 7% of the BCSO to create a deviation in order to be added to the BCSO. If a deviation is granted, the judge’s order must include the reasons for deviation and the amount the order would have been without such deviation. May private school tuition, music lessons, special travel, and athletic training costs result in an amount greater than that in the Basic Child Support Obligation? Evidence of the cost of the private school or special needs education, the need of the child to have the education, and the prior educational decisions of the parents are factors that can be used to justify an upward deviation of the Basic Child Support Obligation. As for special expenses, such as music lessons and special travel (or any expenses that may contribute to the child’s cultural, social, artistic, or athletic development), the court may use proof of the cost of the special expense and the reasons justifying the expense to increase the child support obligation. The educational and special expenses must exceed 7% of the BCSO. If a deviation for educational and special expenses is allowed by the court, then the judge must include in the order the reasons for the deviation along with the amount the order would have been without the deviation. The Supreme Court of Tennessee has ruled that a court can find that private school tuition can be an extraordinary education expense, justifying a greater child support obligation than the Guidelines minimum. The court will analyze all relevant facts when considering an application for additional support for private school tuition. For a more in-depth discussion, see Private School Tuition in Tennessee Child Support Laws. What expenses does child support cover in Tennessee? Tennessee child support is designed to cover expenses for housing, food, and transportation. Clothing and entertainment is included, but to a much lesser extent. Also included in child support are expenses associated with a public school education. What if the Tennessee child support award does not cover expenses? The Tennessee Child Support Guidelines provide opportunities for parents to add their specific health insurance costs, recurring medical expenses not covered by insurance, and work-related childcare. Certain other educational and extracurricular expenses can be “added-on” if these expenses add up to more than 7% of the BCSO on a case-by-case basis. Remember, the Guidelines are designed to be minimum requirements. Child support can be set above the Guidelines’ minimum requirements when warranted. To learn more, read the discussion on “add-ons.” See Special Expenses. How do I get child support in Tennessee? What is an action for child support? For married parents, the first opportunity to receive child support comes as soon as a divorce complaint is filed. A parent can seek a court award of child support retroactive to the date of separation. For unmarried parents, either parent can petition the court to order and set child support retroactive to the birth of the child. How do I make application for child support in Tennessee? To make application for child support in Tennessee, a complaint, petition, or motion must be filed with the court and be served on the other parent. Said complaint, petition, or motion can be made in conjunction with, or as part of, another legal proceeding. Two examples are, first, a divorce temporary support filing (including child support, alimony, and attorney’s fees) and, second, an establishment of parentage (formerly described as a paternity action). Each local court may require a particular legal formality or use of a particular form. In Tennessee, what needs to be included in a complaint, petition, or motion for child support? In Tennessee, specific courts may have particular requirements or forms that must be used. Be sure to do so. In general, the court’s name, the names of the parents and their residences, their applicable legal status (married or unmarried), their children’s names and dates of birth, a statement as to which parent has primary residential status, the legal and factual basis for the court’s jurisdiction, an allegation of a parent’s ability to provide support and the need for support, a request that child support be awarded, and a request for attorney’s fees. In making a claim for child support, who must fill out a financial affidavit in Tennessee? In filing for child support, the information and documentation required will likely depend upon the particular court’s rules and procedures. In many Tennessee courts, both parents may be required to complete a legal pleading signed under oath listing all monthly income and expenses. What information and documentation will the parents need to provide? Depending upon the amount of income at issue, the list of information and documentation required to be exchanged could be very minimal or very expansive. On the one hand, the list of financial information and documentation required could be as simple as last year’s W-2 and a current pay stub. On the other hand, the list of information and documentation required could include tax returns, financial statements, and compensation agreements over the prior two to five years. Is a court hearing required to decide child support in Tennessee? No. If the parties reach an agreement on child support and complete the appropriate paperwork (including the Child Support Worksheets), and the court approves their settlement, then no formal court hearing is usually required. What is involved in a child support hearing in Tennessee? In Tennessee, the judge hearing the child support matter will hear evidence on the names of the parties; names and ages of the children; income of both parents; number of parenting days per year for each parent; particular expenses including health insurance premiums, recurring medical expenses not covered by insurance, and work-related childcare; and, possibly, deviations sought by a parent. Essentially, the court will hear proof on all data required to complete the Child Support Worksheets. In Tennessee, what are the advantages to agreeing on a child support amount in a separation agreement? There are three advantages to agreeing on an amount of child support – lower costs, increased control, and minimal emotional toll. If the parents can agree, it almost always costs less, the parties can control the details, and the parents are less likely to be angry and bitter over the result. Can a judge overrule an agreed child support amount in a parenting plan? Yes. If the parties make a legal mistake, agree to something not allowed, or the court simply does not agree that the amount owed is appropriate for a particular reason, then the judge has the authority to withhold approval of the negotiated child support amount. Once Tennessee child support obligation amount is determined, can it be appealed? Yes. If the parents had a contested hearing, then child support determinations can be appealed. Talk to your lawyer about the appeal process. Which court will hear the appeal and the applicable deadlines for filing an appeal depend upon two things: which court ruled on child support and the procedural posture of the associated legal proceedings overall. In general, for all appeals, all matters in the action must be ruled upon, or made final, in order to appeal. Can a court order an employer to deduct child support from the supporting parent’s salary and pay it directly to the receiving parent? Yes. This is called a wage assignment. And in Tennessee, the court should order it unless there is a good reason not to. Wage assignment works extremely well for most families. However, if the supporting parent is self-employed, if much of the parent’s income is in cash tips or cash payments, or if the parent is on a straight commission basis without a draw, then wage assignment might not be helpful. Discuss your specific circumstances with a Tennessee child support lawyer experienced in these situations. May a supporting parent be ordered to pay child support through the State of Tennessee’s central collection agency? Yes, definitely. In Tennessee, payment to the state’s central collection agency greatly simplifies the process for the custodial parent, freeing him or her from confronting the supporting parent and from attempting to use the children as support collection agents (never appropriate). The state agency maintains records of payments. When an arrearage does occur, proof of the amount of that arrearage is much easier to obtain. In Tennessee, what is child support payment proof? Types of proof of payment of child support can include the testimony of both parents, cancelled checks, copies of money orders, online payment summaries, pay stubs if made by wage assignment, or other payment evidence. The question is always whether a judge believes the proof of payment when parents dispute the amount actually paid. Obviously, the more objective the source evidence, such as copies of cancelled checks from the bank, the more likely the proof may be accepted by the court. What about proof of child support paid in cash? Child support paid in cash is really tough to prove if there is a dispute over how much child support was actually paid. Courts will judge the credibility of the parents and make a determination. Some judges may not give any credit to a parent who paid child support in cash, especially when the child support order specifically directed that payments be made to the state’s Central Child Support Receipting Unit. How about paying child support online in Tennessee? There are certain advantages to paying child support online. One main advantage is that the record of payment is made electronically. Still, it is advisable to always keep as much documentation of payment as possible, for as long as possible, just in case there is ever a claim of non-payment of support. Be cautious, assume your computer will crash someday. Make it a habit to save files offline, print paper copies, and always keep your paper copies in a safe place. Do everything in your power to never be the parent who tells his or her lawyer that payments were made over time, year-after-year, but the records (and evidence) have been lost forever. How to make a child support payments online in Tennessee? When you need to know how to make child support payments online, go to the Tennessee Child Support Internet Payment Website. Follow the instructions there. Warning: The author of this website has no knowledge of payment security with respect to this website. If you want to pay with a credit card, also check your credit card’s particular restrictions with respect to security and identity theft issues. Note that this website claims to not be a substitute for court-ordered wage assignments. Always check with your Tennessee attorney regarding your responsibilities for making sure wage assignments are handled properly. How do I check child support payments online? How do I view my Tennessee child support payment history or a Tennessee child support payment summary? To view your Tennessee child support payment history and check child support payments online, use Internet Explorer (some browsers are incompatible) to go to https://apps.tn.gov/tcses. On the left side of the webpage, click the “Go to Login” button. Where it says “Case ID or Member ID Number” type in the TCSES number that appears on forms and letters from the State. (This number may also be found on some documents filed with the court.) Type in your Social Security Number where indicated, then click the button that says “Begin.” On the main page after logging in, information concerning most recent payments received and most recent statement will be posted. By clicking a Case ID number displayed on-screen, you can set a date range and view all payments made by a non-custodial parent and the disbursements received by a custodial parent. Click the “Print” button to print the report. This process worked as of June 2015. Over time, it is almost certain these instructions will become obsolete. What do I do if my payment history is incorrect? Get your online payment history corrected. Follow the instructions on the website. Be vigilant. Make it a habit to regularly check your payment history. Many Tennessee judges may hold the person making payments responsible for the accuracy of the information contained within the online payment history. If you cannot get the website information corrected for some reason, then keep all of your payment documentation secure, keeping it forever, in order to prove what you paid and when you paid it. What is the Tennessee Child Support Debit Card? The Tennessee Electronic Access Card, which is a VISA debit card, can be issued to a parent receiving support to allow access to child support payments. For details, see Child Support – Debit Card. In Tennessee, when does the obligation to pay child support stop? The obligation to pay child support ends in Tennessee when the child reaches age 18 or graduates from high school with his or her regularly scheduled class, whichever comes second. Also, child support could end earlier if the child becomes emancipated – that is, the child gets married or quits school and gets a job. However, continuation is possible if the adult child is disabled or severely disabled. To learn more, see When does Tennessee child support end for a parent of one child? and When can I reduce my Tennessee child support with more than one child? How long does a parent need to pay child support in Tennessee? So long as the legal obligation exists to pay Tennessee child support, a parent who is the subject of a lawful child support order must pay the amounts owed. May Tennessee child support continue after a child goes to college? Yes, Tennessee child support could continue into college. But only if the parties agree, the child is under 18 years of age, or if the adult child is disabled or severely disabled. Otherwise, the court cannot award support past the age of majority (18) and high school graduation. See the discussion on College Tuition & Costs in Tennessee Child Support Laws. In Tennessee, which parent pays for college after a divorce? As part of a divorce, the parents can reach a written agreement to pay or share college expenses. This is a contract. Absent a written agreement as part of the divorce, Tennessee courts cannot order one or both parent to pay for college. However, Tennessee courts can order high income parents to contribute to a college trust fund as child support. Is there a way to get out of paying child support in Tennessee? There is no way to get out of paying Tennessee child support so long as a parent has the legal status of a parent, the child is not emancipated, the child is under the age of 18 or has not yet graduated from high school with his or her senior class. If you give up your rights do you have to pay Tennessee child support? Parents who surrender parental rights as part of an adoption, say to a step-parent, are no longer required to pay future child support. The same applies if parental rights are terminated by law, as in some cases of child abandonment and non-support. Any arrearage or back child support owed, however, will remain owed until paid. My ex-spouse is delinquent in child support payments. How can I enforce the court order in Tennessee? You can bring a petition for contempt of court and ask for a wage assignment. If the supporting parent has the money, but just refuses to pay, then the court might put the supporting parent in jail for punishment or “encouragement.” Tennessee may also revoke state-issued licenses (driver’s, hunting, or medical licenses, for instance) or require the delinquent parent to pick-up trash on the roads as community service. For more information, see our Tennessee child support enforcement and collection page. But my “ex” moved out of state. Can I still enforce the child support judgment? Yes. Armed with your state’s court orders, you can go to the other state’s court (often handled through the local district attorney or your local juvenile court) to enforce the Tennessee child support order via a wage assignment. There is a complex, but structured, process for interstate child support enforcement. Call your attorney, the local district attorney, or your local juvenile court for more details. In Tennessee, when a supporting parent is unemployed, does the court have any power to require him or her to work and pay child support? Yes. When the person owing a duty of support is unemployed, the court may order him or her to seek employment, report periodically with a diary of efforts to find work, and to participate in government assisted job searches, training, or work programs. Every able-bodied person has an earning potential. Failure to pay child support can result in a petition for contempt, leading to incarceration for failure to pay court-ordered support. Depending upon the circumstances, however, the unemployed parent may seek a temporary reduction in support while seeking employment. To learn more, visit Voluntarily Unemployed or Underemployed in Tennessee Child Support Law. Can a parent get out of paying past-due child support in Tennessee? In 2015, Tennessee enacted a new law allowing for the legal possibility of getting out of paying past due child support, but only in very limited circumstances. Those circumstances require agreement of the parent owed back child support, approval by the court and, possibly, approval by the State of Tennessee if certain governmental benefits were provided to the parent who was owed support. In application, this will likely only occur if there is a settlement for payment of a certain amount of child support owed. The Tennessee child support statute mandates that child support immediately become a judgment when it is due and not paid. What is the law in Tennessee concerning retroactive awards of child support? In Tennessee, in paternity cases and voluntary acknowledgment cases, retroactive support of a child may be ordered from the date of the child’s birth. The court may also award child support retroactively to the date of separation of a married couple, of abandonment of a child, or of physical custody of a parent or non-parent caretaker. Retroactive support is calculated using the average income of the parties over the previous two years. Other provisions may apply if a parent has intentionally hidden the child to prevent the other parent’s visitation. What is back child support in Tennessee? Back child support refers to the failure to pay a court-ordered amount of child support when due. Back child support is more formally referred to as a child support arrearage, or arrears. How do I pay off child support arrears? In Tennessee, paying off child support arrears requires paying some part of the amount owed monthly while keeping current with the ongoing obligation. In Tennessee, how can a parent get out of paying child support arrears? As of 2015, a parent who owes child support may be eligible under certain circumstances to negotiate a settlement of the back child support owed. This will require an agreement with the parent owed child support and approval of the court. And if governmental benefits were provided to the parent owed child support, possibly require approval from the State of Tennessee. How can back Tennessee child support be waived? Can child support arrears be forgiven? As discussed above, there must be an agreement between the parents and that agreement must be approved by the Tennessee judge in charge of the case. In practical application, an agreement may involve a meaningful lump-sum payment of the arrearage in exchange for the balance of Tennessee child support arrears to be forgiven. Without the agreement, however, the court will not forgive arrears or otherwise waive back child support owed. Does child support arrears end when a child becomes emancipated or gets married? No. The balance of child support arrears continues to be owed until paid in full, that is so even after the ongoing child support obligation ends. Many years ago, Tennessee eliminated the statute of limitations on child support obligations. In Tennessee, can I raise or lower child support? Raising or lowering Tennessee child support requires qualifying to modify child support with a significant variance of 15% compared to the existing child support order. For details on child support modification, see Tennessee child support modification. 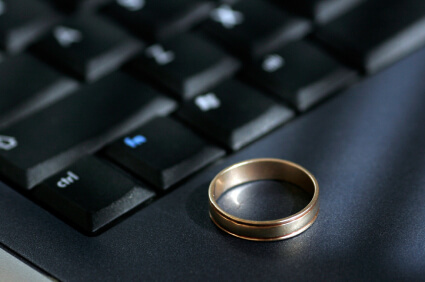 How does an ex-husband’s remarriage affect my Tennessee child support? The marriage alone will not impact the child support obligation. Yes. In Tennessee, with certain restrictions, a parent with a new child will be allowed a reduction of child support owed. This reduction is part of the Guidelines calculation. However, there is no reduction allowed for step-children. In Tennessee, is a stepparent ever required to pay child support for a spouse’s child? No. The one exception could be if a step-parent is divorcing and wants statutory visitation rights as part of a divorce. In that situation, support may be required in order to assert step-parent visitation rights. Will my income be counted if I marry a parent who owes back child support? No. Because of shared living expenses as a married couple, however, the court could possibly find that the parent owing back child support is in a better financial position to pay a greater amount in monthly arrears. What responsibilities do grandparents have for paying child support? Do I have to report my child support payments as taxable income on my federal income tax return? Is Tennessee child support taxed to the recipient? No, so long as payments are made pursuant to court-ordered child support. For more information about taxation issues related to divorce and children, see the current version of IRS Publication 504: Divorced or Separated Individuals available at IRS.gov. Does that mean my “ex” cannot deduct child support he or she pays? Can this change if we both agree? No. A parent receiving child support can agree to allow the parent paying support to claim the child dependency deduction, though. That is, so long as all of the federal tax law requirements are met and the parent receiving support completes and signs IRS form 8332 to be included with the tax return. For more information about taxes and divorce, see Dependency Deductions & Tax Exemptions and Divorce and Taxes | Tennessee Divorce Law & Tax Resources. I am worried that my former spouse will file for bankruptcy. Can my former spouse avoid paying child support? No. If your former spouse is not making child support payments after filing bankruptcy, then check with your lawyer immediately for advice. Can parents to agree to deviate from the Tennessee Child Support Guidelines? Maybe. Under certain, special circumstances, parents can agree to a deviation from the child support determined by the Guidelines and the Worksheet’s calculation. Any such agreement must be approved by the court. If there is a deviation, Tennessee law requires that the support order list the factual reasons for the deviation and the amount owed without the deviation. Judges will rarely refuse to approve an agreed deviation that increases the monthly child support amount owed. For a deviation reducing the child support obligation, though, many judges will scrutinize the deviation. A commonly seen deviation is an adjustment for long-distance visitation when one parent has moved away from the child. Can a judge deviate from the Tennessee Child Support Guidelines? Yes, a judge can deviate from the Tennessee Child Support Guidelines, but only for certain reasons. For a more detailed discussion, see How to Deviate from Tennessee’s Child Support Guidelines. In Tennessee, who can make a claim for attorney’s fees in a child support matter? Tennessee law grants judges authority to award attorney’s fees to a parent seeking the setting of child support or the enforcement and collection of child support and back child support owed. Some Tennessee courts view awarding attorney’s fees as representing the best interests of the child or children who are the subject of the child support action. For detailed discussion of parenting issues, child support, and examples of child support worksheets and parenting plans from real Tennessee cases, purchase the Tennessee Parenting Plans and Child Support Worksheets: Building a Constructive Future for Your Family, by Miles Mason, Sr. available on Amazon. For more information and up to date case summaries about Tennessee child support, visit the Child Support category on our MemphisDivorce.com Tennessee Family Law Blog. Disclaimer: The answers to the FAQs herein are general in scope. Some exceptions that may apply to a given situation are not always included in the answers. For the answer to a specific question applicable to your particular situation, consult with an experienced Tennessee family law attorney. See also Tennessee Child Support Videos.